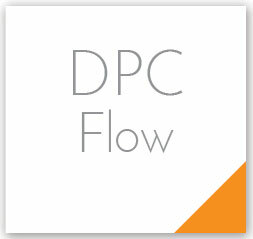 Dynamic Pulse Control™ (DPC) Flow is a technology that we developed specifically for hair removal. Using the DPC Flow patients can enjoy a treatment experience that is pain-free and significantly gentler than traditional modalities. Clinical evidence has confirmed that DPC Flow delivers effective and permanent reduction of unwanted hair. The technology is based on high levels of energy, which are delivered in short pulses, at a high repetition rate. During treatment, the DPC Flow handpiece is in constant motion and gradually heats up the dermis to a temperature in which only the hair follicles are damaged, without harming the surrounding tissue. Throughout the treatment, a sapphire contact cooling mechanism protects the epidermis.